The Coca-Cola GB and English Premier League’s new campaign has now been activated across social media, involving a minute and a half advert featuring 250 “real” fans from across all 20 Premier League clubs, titled ‘#WhereEveryonePlays’. This article originally appeared on the Healthy Stadia website. Once again, we are seeing the food industry get away with associating their brand and products with sport – meaning millions of children and young people are exposed to the aggressive and tactical marketing of food and drink products, many of which will be high in fat, sugar and/or salt (HFSS). But is this really appropriate, given the obesity and oral crisis facing so many children across the country? This new sponsorship deal between HFSS brands and sport is a clear example of profits over public health, a situation #WhereEveryonePays. The new Coca-Cola advert will go live on terrestrial television this evening and will be followed up in due course with on-pack promotions for match tickets and VIP experiences. There will also be a bus tour that starts in March featuring the Premier League trophy – perhaps the Coca-Cola Christmas Trucks will have a much earlier-than expected outing this year. Expect to see the same format as these events – photo opportunities, media coverage and brand clothed-staff handing out free giveaways of their portfolio of drinks in small 150ml cans, including classic Coca-Cola (containing 15.9g free sugars – half of an adults recommended intake, let alone children) as well as their diet and zero sugar version drinks. In response to partnership going live from January 2019, our sister organisation, Healthy Stadia, and the Football Supporters Federation wrote a joint letter to the UK’s Minister for Sport (Mims Davies MP) and Secretary of State for Health and Social Care (Matt Hancock MP) urging UK Government to establish mandatory restrictions on further marketing of HFSS products through the ‘National Game’. Food Active echoes these concerns around inappropriate marketing of less healthy food and drink, on platforms that are popular with children and young people. Football has been used internationally and in the UK for many years to market HFSS products. Marketing channels and UK examples include club-based and league-based sponsor partnerships (Gatorade, Cadbury, Coca-Cola), competition sponsors (Carabao), broadcast media advertising (Domino’s Pizza), pitch side advertising (Monster Energy Drink) and grassroots programme sponsorship (McDonald’s, Mars), all of which look to influence the consumer habits of fans, including children and young people. We ask the question – is associating HFSS brands with sport appropriate, given the issues of childhood obesity and poor oral health we are currently facing in England? Here in the North West, data from the National Child Measurement Programme (2017/18) shows that more than one in five (23.9%) of all Reception Age children are classed as overweight/obese, rising to over one third (34.3%) by the time they leave school aged 10-11. Both averages are higher than the national average, and the consequences for rising levels and early onset of type two diabetes are stark. However, the issues do not start and finish with obesity. Taking a close look at Coca-Cola’s new advert and recent marketing campaigns, Coke Zero has been the focus. They have also very cleverly re-branded it to look incredibly similar to classic Coca-Cola, something which the GB marketing director of Coca-Cola Paul Grace explained as “intended to introduce a more consistent look and feel and remind people you can enjoy the great taste and experience of Coca-Cola with or without sugar.” Sugar or no sugar – oral health specialists will urge that this is not a get out of jail free card. Whilst these sub-brands have less impact on weight gain, this does not take into account the effects on oral health of regularly consuming both traditional and diet versions of soft drinks, with the acid in both traditional and sugar-free soft drinks a cause of decay owing to dental erosion. Partnerships between HFSS brands and football organisations and sports competitions are not incidental. By linking themselves to clubs, players, leagues, competitions and grassroots participation, these companies are attempting to associate their brands with a healthy and active lifestyle, thereby minimising the public scrutiny of their contribution to the UK’s childhood overweight and obesity crisis. At present, on the one hand we have the Government operating a soft drinks industry levy as of April 2018, encouraging industries to reduce the amount of sugar across soft drinks. On the other hand, we have arguably the largest soft drink company sponsoring the nation’s top football league, with the a global broadcast audience of over 1 billion viewers globally. Does this not send a fairly contradictory message? Four years on, clubs, leagues and governing bodies have entered into new partnership deals with companies marketing HFSS products (including Mars, McDonalds, Carabao, Coca-Cola), showing that we need a much tougher stance on this issue from UK Government that is not based upon voluntary agreements. 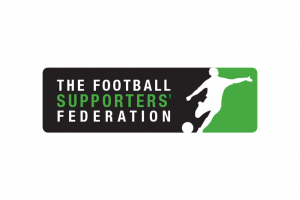 The letter from Healthy Stadia and the FSF argues that now is the right time for UK Government to bring forward regulatory mechanisms that prohibit further sponsorship partnerships between HFSS brands and national football organisations in the UK. Until UK Government takes stronger action through regulation, the exploitation of sport by HFSS companies to stimulate demand for their products will continue to be an issue #WhereEveryonePays. Healthy Stadia works with professional sports clubs, their community trusts, leagues and national governing bodies of sport to develop stadia as ‘health-promoting environments’. Healthy Stadia works to develop health-promoting policies including encouraging fans to consider walking and cycling to matches and developing healthier catering guidelines to improve the health of supporters. The Football Supporte rs’ Federation is an organisation representing football fans in England and Wales. It campaigns across a range of issues and supports fan representation on clubs’ boards and on lower ticket prices. The organisation is free to join and acts as a singular voice for football fans and represents more than 500,000 members made up of individual fans and affiliated supporters’ organisations from every club in the professional game and footballing pyramid. To see a copy of the letter to the Parliamentary Under Secretary of State for Sport and Civil Society (Mims Davies MP), please click here. Matt Hancock MP, Steve Brine MP, Sarah Wollaston MP, Tom Watson MP and Jonathan Ashworth MP.